Nordic Business Forum’s founders Hans-Peter Siefen and Jyri Lindén were chosen as the Entrepreneurs of the Year of Central Finland. 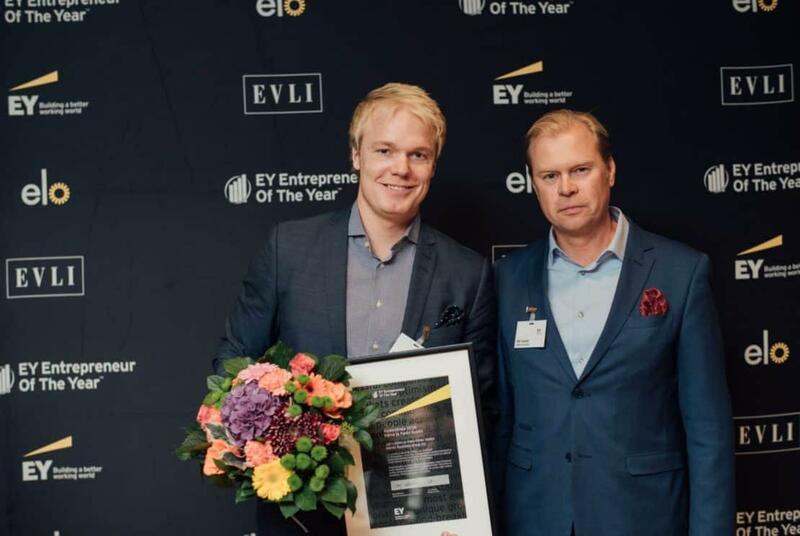 With this nomination, they are also one of the finalists of the EY Entrepreneur of the Year 2016 Finland in the Young Entrepreneur category. The judges of the competition were especially impressed with how passionately and courageously the founders have grown Nordic Business Forum towards the goal of becoming the world’s best business conference by 2021. In addition, the judges valued Nordic Business Forum’s voluntary service in spreading entrepreneurial education among the young. Since 2012, Nordic Business Forum has reached 25,000 students with their Inspiration for Two volunteer project. The founders were also honored with Entrepreneurship Educator of the Year award for this socially significant project.